Fourth president of Pennsylvania RR (1871-1880) when it was world's largest system. Assistant Secretary of War (under Stanton) during Civil War. Employed Andrew Carnegie as personal secretary during Civil War. Director Union Pacific and president of the U.P. for one year. Also president of the Texas & Pacific. 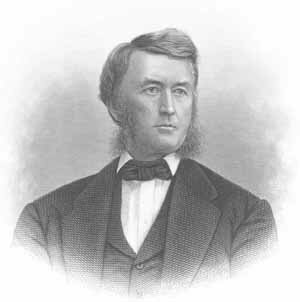 Fought Gould's expansion of Erie. Lost battle with J.D. Rockefeller over oil transportation via the South Improvement Company.